Hans-Ekkehard Bob was born on 24 January 1917 at Freiburg/Breisgau. Bob joined the Luftwaffe on 1 December 1936 with the rank of Fahnenjunker. He spent his first year at the Luftskriegsschule Wildpark Werder undergoing six months of basic military training before commencing his flying training on 1 June 1937. At the beginning of 1938, he attended the Officer’s Academy. Oberfähnrich Bob was then transferred Jagdfliegergruppe 133 based at Wiesbaden. His first operational missions came during the occupation of the Sudetenland flying with an Arado Ar 68 biplane fighter equipped unit escorting bomber and transport aircraft. Following the successful conclusion of the operation, Bob was transferred to JG 334, equipped with Bf 110 Zerstörer twin-engine fighters and based at Gablingen, where he also received promotion to the rank of Leutnant on 1 September 1938. In July 1939, Bob was transferred to the newly formed 3./JG 21, based at Jesau. On 6 June 1940, 3./JG 21 was redesignated 9./JG 54. He flew his first combat missions of World War 2 in Poland and France as a Schwarmführer (leader of four aircraft). On 10 May 1940, Bob claimed his first victory, a Gloster Gladiator biplane fighter shot down near Tongeren in Belgium. By the end of the French campaign he had recorded four victories. On 1 August 1940, Bob was promoted to the rank of Oberleutnant. He was appointed Staffelkapitän of 7./JG 54 on 10 October 1940, replacing Oberleutnant Günther Scholz (34 victories, DK) who had left to lead III./JG 54. However, his stay with this unit was short. On 28 November, Bob was appointed Staffelkapitän of 9./JG 54, which he led until 1 August 1943. During the Battle of Britain, Bob’s unit became one of the first fighter-bomber (Jabo) units. 9.Staffel mostly attacked shipping targets with 250kg bombs. By 11 November 1940, Bob had recorded 19 victories. Oberleutnant Bob was awarded the Ritterkreuz by Reichsmarschall Hermann Göring on 7 March 1941. On 21 March 1941, Bob undertook a flight in a Bü 131 (W.Nr. 4506) “BG + AB” training aircraft, which resulted in a ditching in Cherbourg harbour following engine failure. He survived unhurt. Staffelkapitän of 9./JG 54 Oberleutnant Hans-Ekkehard Bob. Parndorf, March 1941. 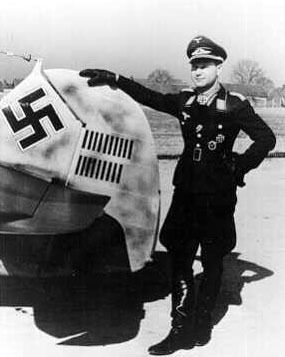 The rudder of his Bf 109 E shows 19 victories. Bob participated in the Balkan campaign, shooting down two Yugoslavian fighters: a Bf 109 on 6 April 1941 for his 20th victory and an IK-2 on 9 April for his 21st victory. Following the conclusion of operations in the Balkans, JG 54 was re-equipped with the new Bf 109F and relocated to airfields in East Prussia. On 22 June 1941, 9./JG 54 flew their first missions of Operation Barbarossa, the invasion of Russia. Bob recorded his first victory in Russia on 23 June, when he shot down a SB twin-engine bomber. However, his Bf 109 F-2 (W.Nr. 9207) “Yellow 1” + ~ was hit by return fire from the bomber’s gunner necessitating a forced landing deep inside enemy controlled territory near Radviliskis. He managed to make his way back to German lines two days later. He was shot down for a second time on 13 July and was again forced to make an emergency landing this time near Borodkino. On 20 August, Oberleutnant Bob was again forced to make an emergency landing 50km south of Dno, when his Bf 109 F-2 (W.Nr. 12696) “Yellow 1” + ~ received hits in the radiator. During a freie Jagd over the Volkhov River on 30 October, Bob encountered a Russian I-16 fighter. In the subsequent engagement, his Bf 109 F-2 “Yellow 1” + ~ took hits in the radiator. He made a belly-landing behind enemy lines and was fortunate to evade capture. By the end of 1941, Bob had 39 victories to his credit. On 29 September 1942, he recorded his 50th victory.  The sojourn in Russia ended for 9./JG 54 on 12 February 1943, when III.Gruppe and 4./JG 54 were ordered by the General der Jagdflieger, Adolf Galland, to change positions with units of JG 26 based on the Western front. This tactical operation was cancelled, but III./JG 54 stayed in the West and was separated from its parent Geschwader for the remainder of the war. On 17 April 1943, Hauptmann Bob claimed his 57th victory by ramming a USAAF B-17 four-engine bomber near Bremen. He was forced to bale-out of his stricken Bf 109 G-4 (W.Nr. 149 35) “Yellow 1” + I. He suffered injuries in the incident. On 1 August 1943, Bob was promoted to the rank of Major and was appointed Gruppenkommandeur of IV./JG 51 based on the Eastern front. He gained two further victories with this unit. Bob was appointed Gruppenkommandeur of II./JG 3, based on the Normandy invasion front, on 9 May 1944. He also led the unit on Reichsverteidigung duties. In August 1944, Bob transferred to Erprobungskommando 262 where he received very rudimentary training on the Me 262 jet fighter. 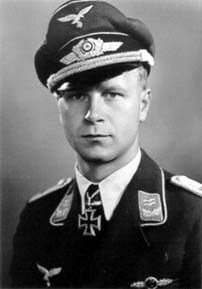 At the beginning of 1945, he became one of the small team of experienced flying officers assigned to the staff of Generalmajor Josef Kammhuber. He worked on the staff directly responsible for allocating newly built Me 262s to operational units before being ordered by Kammhuber to Silesia. Here he joined I. and II/EJG 2, both these units being responsible for training of former bomber pilots on to single-engine fighters. Bob next became a member of JV 44; the Me 262 equipped unit led by the now former General der Jagdflieger, Adolf Galland (104 victories, RK-Br). At the capitulation on 8 May 1945, Bob was in Koppl, a small village near Salzburg. From there he walked 1,700km in 6 weeks to Celle. After the war Bob initially took employment as a farm labourer before establishing a transport business. In 1956, he founded Bohrmaschinen und Geräte GmbH (BOMAG) in Celle, manufacturing drilling equipment, which does business in 87 countries. He continued flying, establishing the Celle Flying Club. Hans-Ekkehard Bob flew approximately 700 combat missions and claimed 60 victories. He recorded 37 victories over the Eastern front.